3 5/8" x 7 1/2"
A-Meri-Card is a trademark now owned by American Greetings. The earliest filing date I could find for the trademark by American Greetings is January 11, 1960. American Greetings did not originate A-Meri-Card themselves. Over the years they purchased numerous smaller card companies (like Rust Craft which it purchased in 1982) to become second only to Hallmark in size. I'm Parking Right Here Until You Say Yes My Valentine. There are clearly cards with the A-Meri-Card name on them that date prior to this registration. 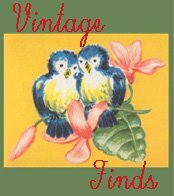 There are many cards with that mark from the 1950s, with a few possibly dating to the 1940s. 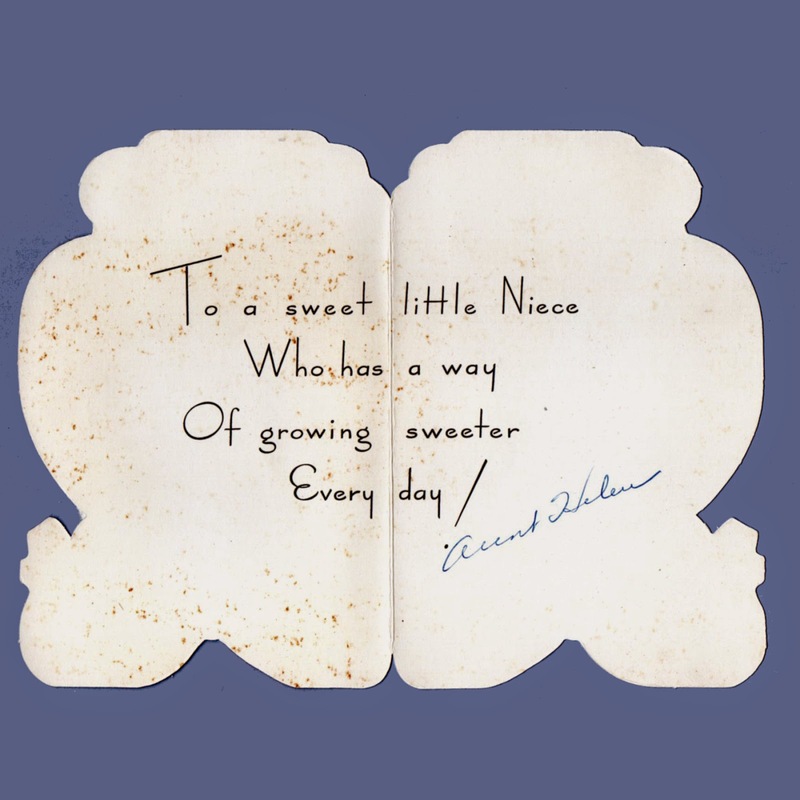 We have come across an A-Meri-Card with a handwritten date on it of 1939, but it is possible that the date is mistaken. American Greetings kept the line active to some degree up through at least the 1980s. The bulk of the cards I have come across appear to be from the 1950s or 1960s. I got my EYE on you my Valentine. 4 1/4" x 4 5/8"
A booklet of punch-out party favors called The Birthday Party Cut-Out Book dating to 1947 has the A-Meri-Card trademark on the punch-out pieces, but also has markings indicating it was printed by A.C. Co. - aka the American Colortype Company. There is also a small boxed set of cards we have come across that have A.C. Co markings on the box with a set number while the cards contained in the box all bore the A-Meri-Card trademark and the same set number on them. So it would seem the trademark possibly originated as a line for the American Colortype Co.
Of special interest are their cards that fold-out and stand to form wonderful little three dimensional scenes. The variety of this style card made by A-Meri-Card seems endless, providing quite a challenge for any collectors wishing to have an example of each. We have many A-Meri-Card valentines in other categories too. Use the search box in the upper left corner - enter in "a-meri-card" - to see other posts with A-Meri-Card cards pictured. Jack of Hearts ~ I'm a bold, bad man - a scamp, you've heard; (I stole a tart or two,) "Cause I love tarts and my Queen of Hearts, so, now I'm telling you. Today I'll be a worser scamp! I'll steal more than a tart! For my own Valentine, Today, I'll steal my Queenie's heart. Be Mine! You're the APPLE of my eye - Dear Valentine. My Valentine If wishes were fishes I'd wish for YOU! I've got my eyes on YOU My Valentine. Don't Purr around me unless you mean it. 3 3/8" x 4 1/2"
I don't know what to call you - But I'd like to call you MINE! 3 7/8" x 4 7/8"
For Son ~ With love and happy greetings, this valentine will bring A special thought to wish you the best of everything! 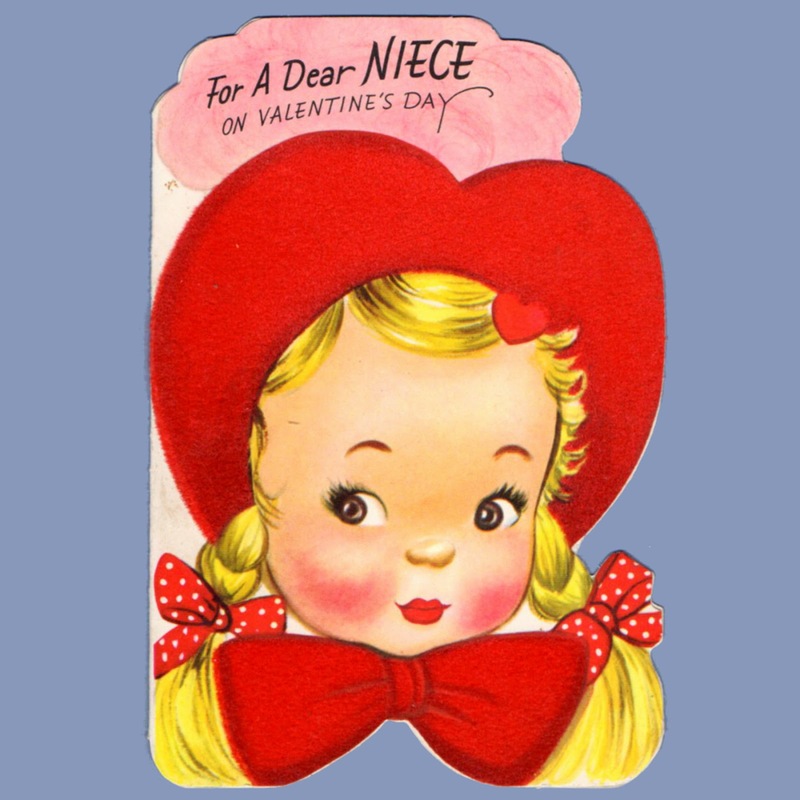 For a dear NIECE on Valentines Day ~ To a sweet little Niece Who has a way Of growing sweeter Every day!